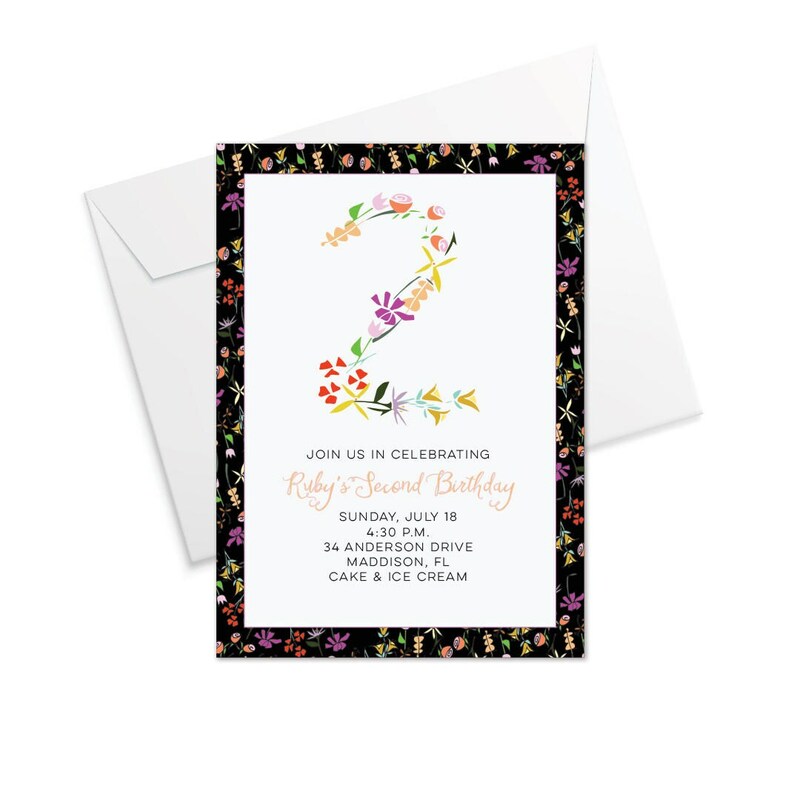 The floral birthday invitation is perfect for a spring or summer party celebrating your little one on her very special day. Delightful for mom and daughter, the invite becomes a special keepsake. Bright white envelopes included. Sold in sets of 10. 1. Choose your order quantity and place your order here.